These are trying times for Lauryn hill, the former Fugees member has just been sentenced to spend three months in a federal jail for tax evasion, another three months under house arrest, and finally a 9 month supervised released probation period. The Singer had been charged with tax evasion by IRS after failing to file her tax returns on the $1.8 million she had earned from 2005 to 2007. 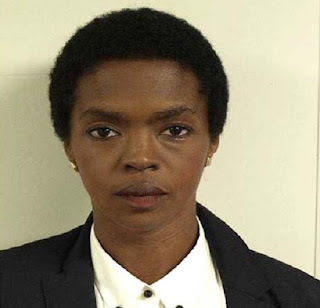 The singer had tried to avoid jail time after paying almost a million dollars of what she owned the government by releasing new music but it seems the efforts where enough to get her off the hook as the Judge ordered her to report to jail on the 8th of July. Speaking after her sentencing, the singer compared her dilemma with slavery saying "I was put into a system I didn't know the nature of. ... I'm a child of former slaves. I got into an economic paradigm and had that imposed on me," Hill said. She continued, "I sold 50 million units ... now I'm up here paying a tax debt. If that's not likened to slavery, I don't know what is."